After flying commercial all morning from the East coast... I made it to the shop! 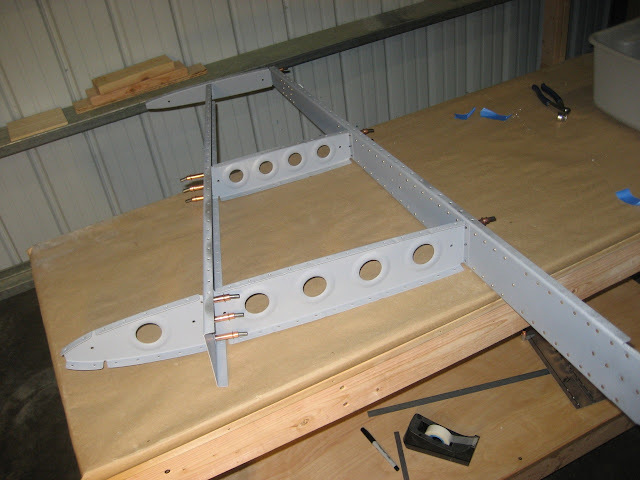 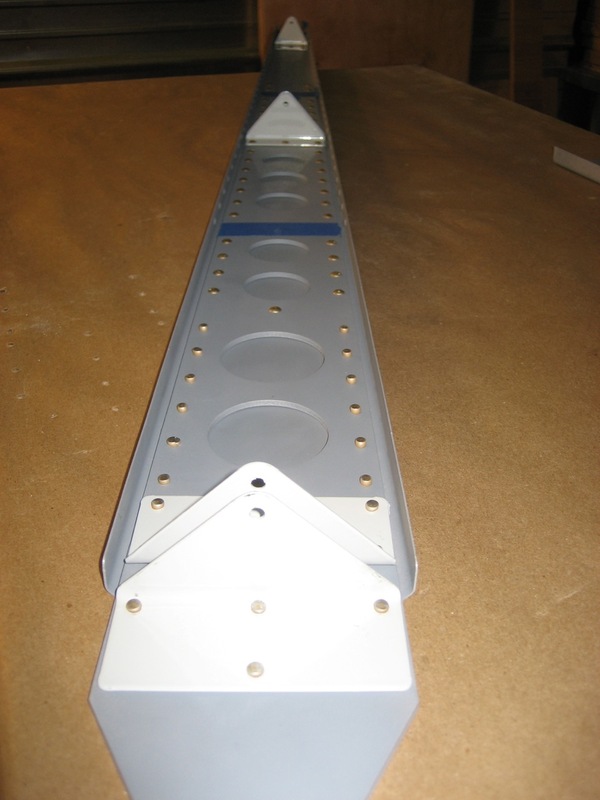 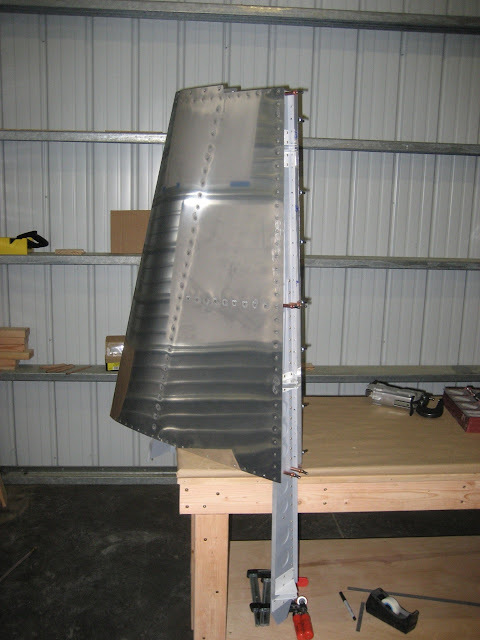 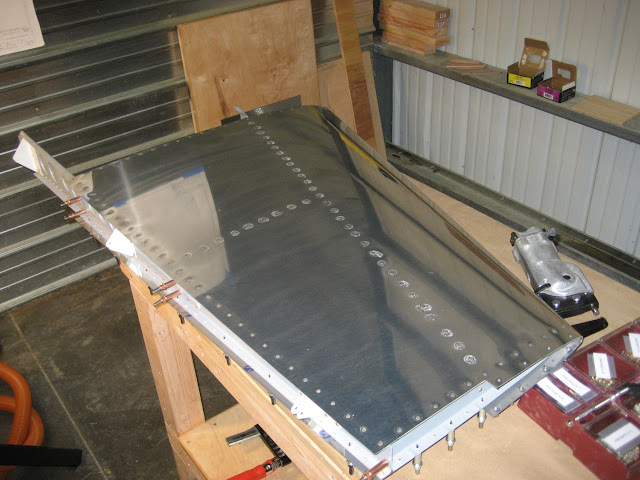 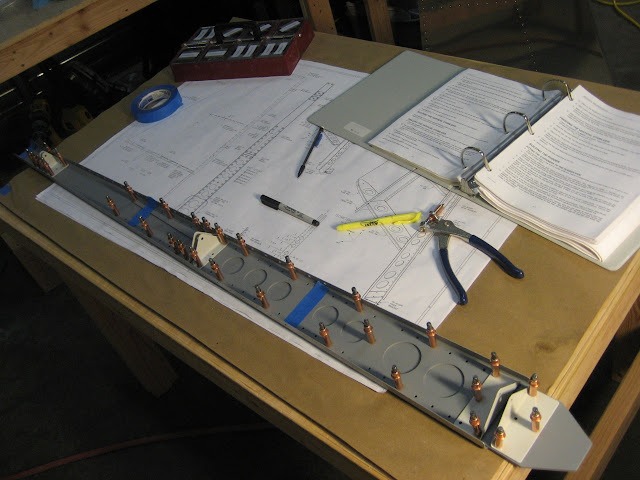 Very slow start, it took several tries to get the layout of the lower fuselage attachment face of the rear spar correct.